Construction is one of the fastest growing industries in Adams County today, with more than 26,000 workers in the county--a 53% increase in the number of jobs since 2010, according to the Department of Labor. Workers enjoy an average salary of more than $60,000, and the opportunities are expected to continue to grow in the years ahead. But amidst all this growth, where is the next generation of workers going to come from? In Adams County, schools like Bollman Technical Educational Center (BTEC) are engaging students in the construction pathway and role models like Alejandra Spray are pioneering pathways for women in the field. BTEC is located in Thornton and is part of the Adams 12 Five Star School District. Students from every high school in the district can take classes here to earn high school credit and satisfy district graduation requirements. The school’s mission is to build career pathways and post-secondary options by providing relevant and current technical education programs. 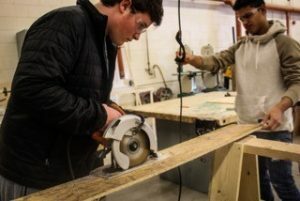 When ACEC staff visited a BTEC construction technology class, the students were engaged in constructing chicken coops, which they design, build, and sell as part of a fundraiser. 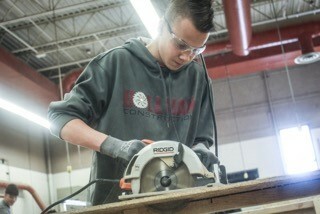 One student taking the construction class plans to work in his grandparents’ construction business, which has been involved in major city projects like DIA and Coors Field. Another wants to be an architect, building homes and hotels, while a third just wants to gain the skills to do home improvement projects at his family’s house. Aaron Cooper, Construction Technology Instructor at BTEC, loves teaching at Bollman and helping move students down the construction career path. He believes one of the hardest parts of the class is learning the terminology. 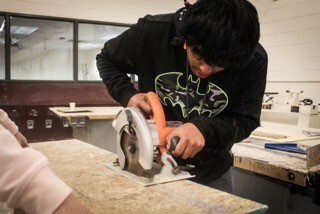 Since this is the first course in construction for most students, construction terms, he said, “sound like a foreign language to them.” But by the end of the semester, students take pride in what they’ve built and learn basic math skills in a much more fun, engaging way than the traditional classroom environment. One of his female students just received a scholarship to study interior design while others want to work in the field or in the construction office. Speaking of women in the field, it is hard to find a more engaging, vibrant role model than Alejandra Spray, marketing director at AMI Mechanical in Thornton. Ale (pronounced Ah-li) attended school in Mexico where she earned a degree in civil engineering. However, when she moved to the U.S., she had to start over, and initially had a difficult time adjusting to the language and the environment. But she persisted and overcame these challenges. When she applied for work at AMI Mechanical, she was offered a marketing position even though she applied for a different position and didn’t have marketing in her background. She accepted it and is very glad she did, as it helped her career take off. 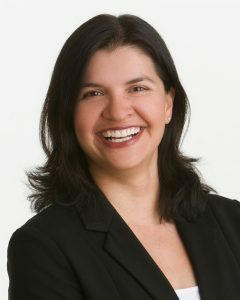 Today, she is chair of the board of directors for the HCC (formerly Hispanic Contractors Association of Colorado), which includes services for women, minorities, and other members of society who must overcome barriers in the industry. The Women in Construction Management Summer Institute takes place June 7-10 at Colorado State University. This program is focused on young women (16-18 years old) who enjoy teamwork, problem solving, and critical thinking and want to develop an understanding of construction management and related fields. Students tour local construction sites and meet with women in the industry. Applications are due by March 31. For more information, email explorecm@colostate.edu or call 970-491-7354. The momentum for enabling construction pathways for high school students continues to grow in the Adams 12 District and across other school districts in the county. Last fall, voters in the Adams 12 District passed a $350 million bond issue that will enable more Career Tech Ed in the district. The Career & Technical Education Campus #2 is set to open in Fall 2019 and will accommodate 80% more students across the district in CTE opportunities, including construction. In addition, other school districts including 27J, Adams 14, Mapleton, and Westminster are currently engaged in classes and activities that give students a feel for the industry and a start on the skills they will need. Front Range Community College is also enhancing opportunities for students to gain credit for these classes through concurrent enrollment. As a result, all signs now point to new career opportunities arising for more students in a field that is rapidly expanding. ACEC Building Career Pathways in Manufacturing ACEC April Events Draw Rave Reviews!